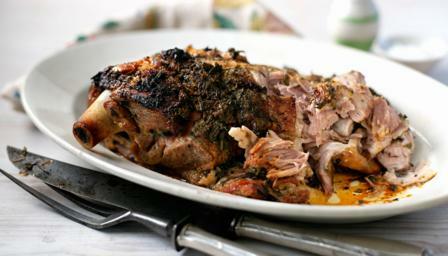 This is a great recipe for lamb shoulder. The honey and mixture of herbs give the lamb great flavour and by allowing it to cook slowly the meat just falls of the bone. Use a sharp knife and score the shoulder of lamb cross hatching the entire surface. Make sure the scores are not too deep. They should only go through the outer layer of the skin and the fat. Pour the water into the casserole, then put the lid on. Transfer to the oven and cook for 2½ hours. Check the dish after one hour – the lamb should be taking on a little colour. If the water has evaporated, add a little more to maintain the dish’s moisture. Black Pudding – How to Cook it. Black Pudding what is it made of? mands manc (@mandsmanc) on Win over £80 worth of barbecue meats! Amanda Barnes on Win over £80 worth of barbecue meats! Geraldine McCambridge on Win over £80 worth of barbecue meats! Sue Obrien on Win over £80 worth of barbecue meats! Diane pearce on Win over £80 worth of barbecue meats!